Microsoft had a press conference just few hours ago previewing the next major release of Windows Phone update, code-named ‘Mango’. The 7.1 update is said to bring 500 new features to the operating system and will be available this fall. • Threads. Switch between text, Facebook chat & Windows Live Messenger within the same conversation. • Groups. 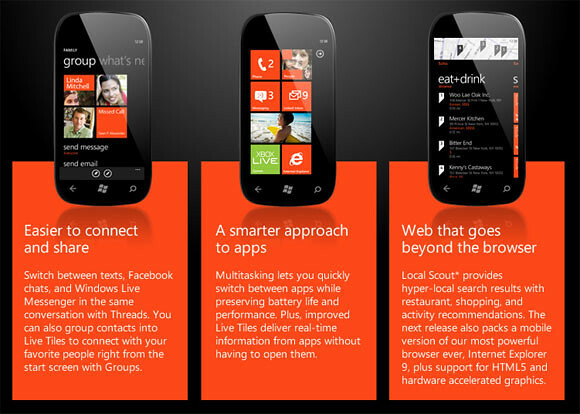 Group contacts into Live Tiles to see the latest status updates & activities right from the Start Screen. Quickly send a text, email or IM to the whole group. • Facebook check-ins and face tagging built in. Makes it easier to quickly tag photos and post to the Web. • Linked inbox. See multiple email accounts in one linked inbox. Choose which mail accounts to link. • Improved Live Tiles. Get real-time information from apps without having to open them. • Internet Explorer 9. The same Internet Explorer 9 for the PC is now ported to WP7, including support for HTML5 and full hardware acceleration. • Local Scout. Provides local search results and recommends nearby restaurants, shopping and activities. • Bing on Windows Phone. Bing Vision, Music Search and Voice gives users more options to search the web. Check out some video demo of the new “Mango” update below! More of ‘What’s New On Mango’ Here. 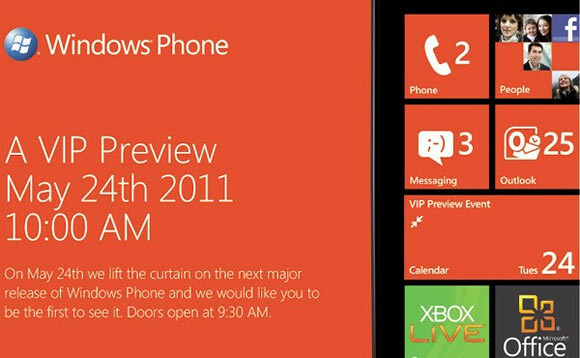 2 Responses to "Windows Phone 7 “Mango” Previewed. 500 New Features [video]"